I had a great experience learning with Hannah's LDC driving school and passed after taking a 15-hour test booster course plus a few additional lessons. I had previously done taken some lessons in a different area before taking a break, so this course was ideal to refresh my skills and get familiar with the roads. 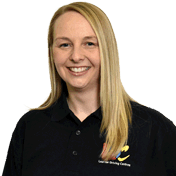 Hannah was a friendly and patient teacher and worked with me to plan the lessons so I could get what I wanted out of them. She explained how to approach different skills and situations in a calm way and was always supportive and positive when explaining how to improve, which helped to build my confidence. The lesson prices were reasonable and in line with other instructors in the area, and by booking larger amounts of hours with a course I was able to get better value for money. I also used the LDC Driving Skills workbook which had lists of different skills you needed so you could check your progress and use them to help plan your lessons. 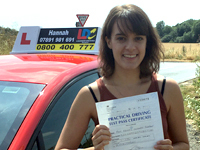 Overall, I would recommend LDC based on my experience and have recommended Hannah to friends in my area who are looking to learn to drive. Thanks, Hannah!